The need for renewal of the church, built in 1966, goes back to some critical aspects that affected the appearance from its foundation: a substantial lack of natural light, a wide presbitery but little characterized and not integrated with the overall architecture, the absence of an appropriate place for baptistery, the poor identification of the choir and its role. 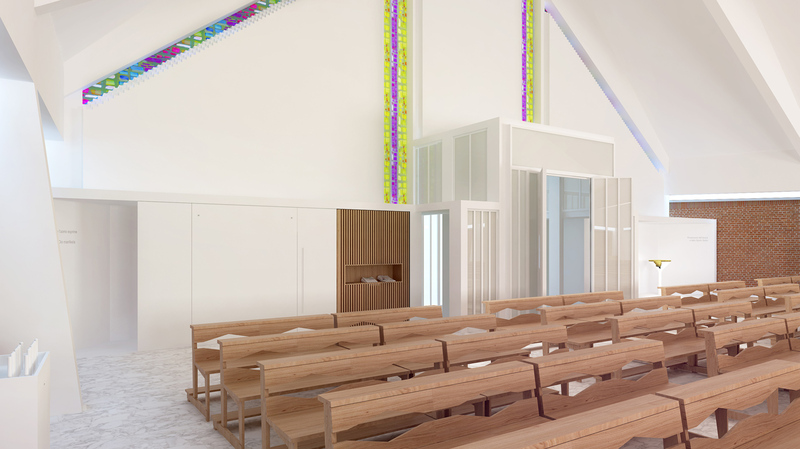 The project takes shape around the presbytery, in order to create a combination of folded planes, easily connected with the upper structure, conveying the natural light from the skylight and diffusing the light inside the church. The white color makes the interior space uniform, matching the new surfaces with the existing ones, which are completely skimmed and painted white. 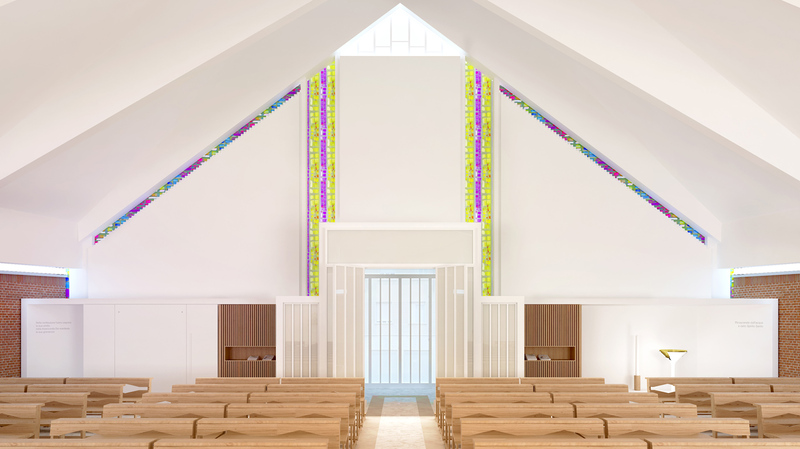 The space for the baptistery is identified on the entrance wall, as well as a new permanent confessional that affirms its presence. 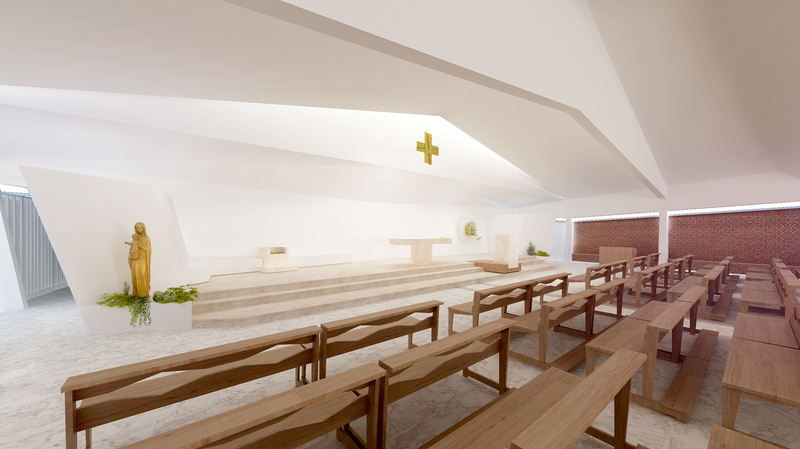 The layout of the benches for the faithful and the choir is optimized to maximize the number of seats and improve their participation. 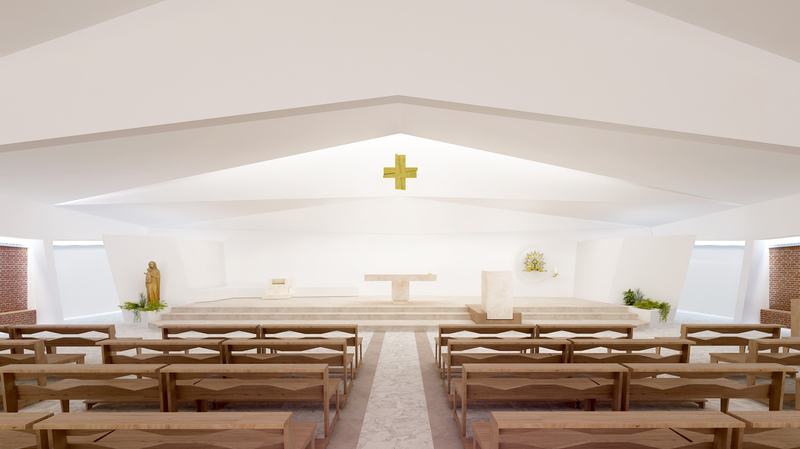 The project aims to achieve a general renewal of the classroom, revealing a new image of the church even with an overall light intervention, which intervenes only on the surfaces that define the envelope.